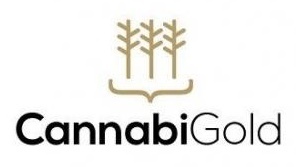 CannabiGold Balance, a new addition to CanabiGold standard extracts series (Classic, Premium, Intense), is a product designed for those seeking phytocannabinnoids in both their neutral and acidic form. – Thanks to years of experience and our fascination with Cannabis, HemPoland is one of the few companies in the world producing gold-level extracts without the use of solvents, thermal processing (distillation) or enrichment with synthetic or crystalline CBD. – Hemp used in the production is grown in a natural, environmentally friendly way without the use of any pesticides. – Each batch of extracts is subject to detailed analysis at every stage of production, which ensures that the product is 100% safe and guarantees its composition. In addition to the extensive research carried out by our scientists, each batch of product is also controlled by external laboratories testing for microbiological purity and absence of heavy metals, pesticides and other harmful substances. All CannabiGold oils are produced exclusively by supercritical CO2 extraction without any additives. 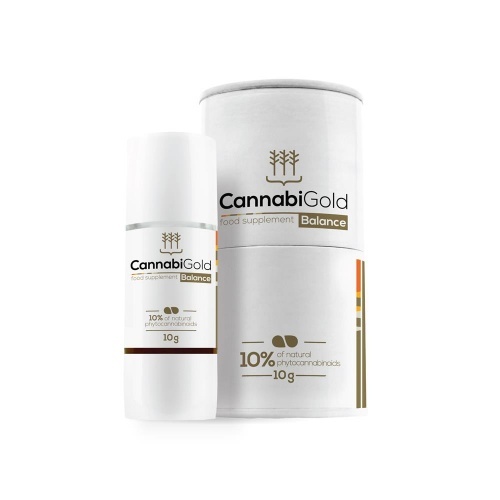 CannabiGold Balance contains a full spectrum of cannabinoids, flavonoids and terpenoids naturally occurring in cannabis, such as CBDV, CBDA, CBC, CBG, BCP, it also includes a guaranteed minimum of 500 mg of natural CBDand 500 mg of natural CBDA. Each 10g package contains about 400 drops. 1 drop = approx. 2.5 mg of phytocannabinoids. Recommended intake: 4 drops (equivalent to 20 mg of phytocannabinoids) two times a day. Do not exceed the recommended dose. The product can not be used as a substitute for a balanced diet. Protect from light. Keep out of reach of small children.